We’re back for another month of the Crafty Destash Challenge. 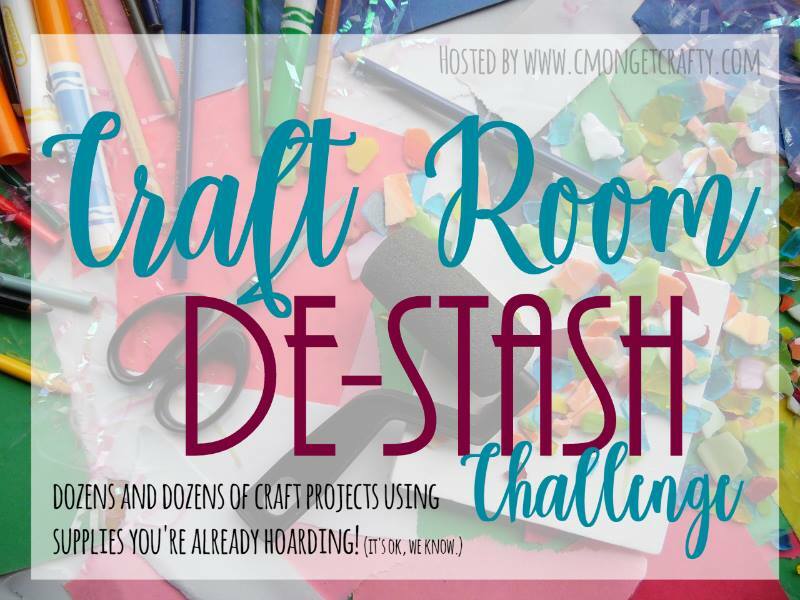 Each month, a bunch of us bloggers get together and try to de-stash our craft supplies. Most of us are hoarders of craft supplies, and I’m no exception. This challenge is the perfect opportunity to get creative and see what we can all come up with. 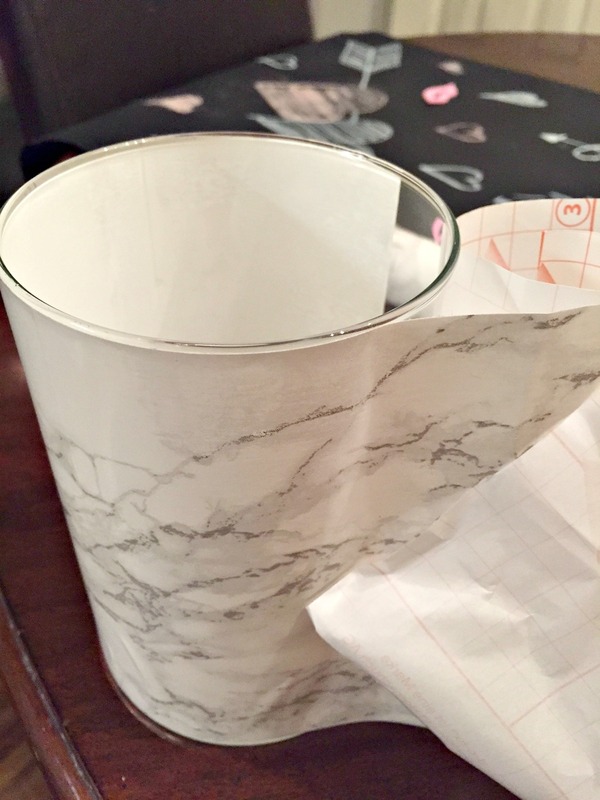 I’m so happy to have some leftover marble contact paper in my stash, so I could create this Faux Marble Vase collection. Before we get started, let’s say a huge thank you to Megan from C’Mon Get Crafty for hosting this fun monthly challenge and for bringing us all together so we can share ideas on how to use up some of those craft supplies most of us have lying around. 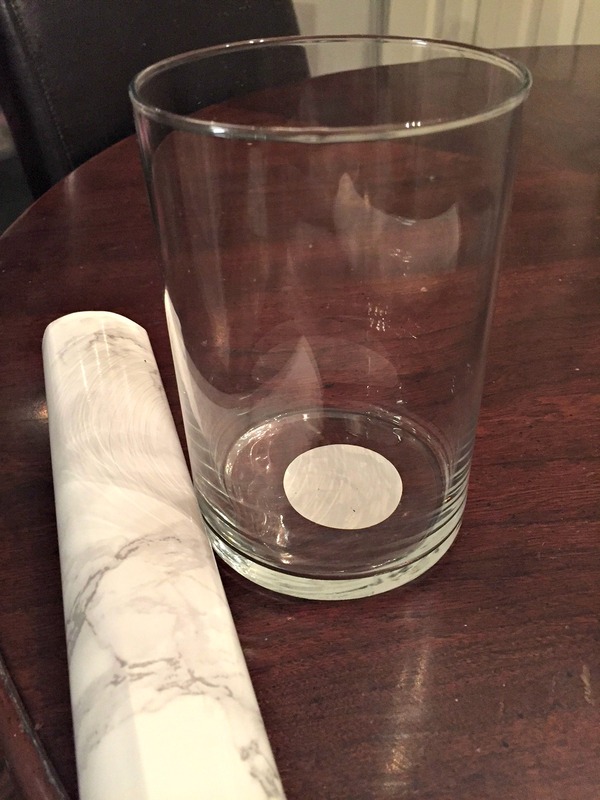 So, I’ve been kind of obsessed with marble contact paper lately. 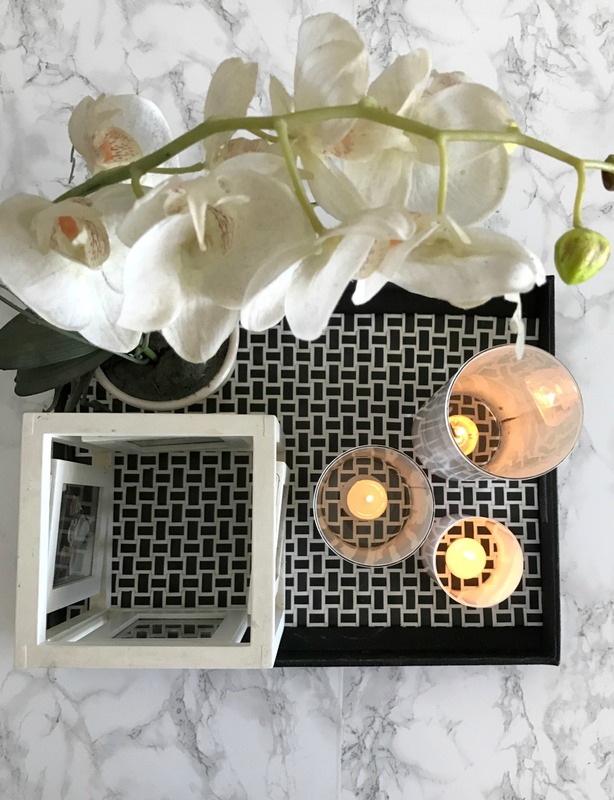 You can see where I transformed a 1990’s coffee table using marble contact paper here —–> Faux Marble Coffee Table I had some left over from this project just waiting for inspiration to strike. I’ve included a link at the bottom if you would like to purchase it for your own project. 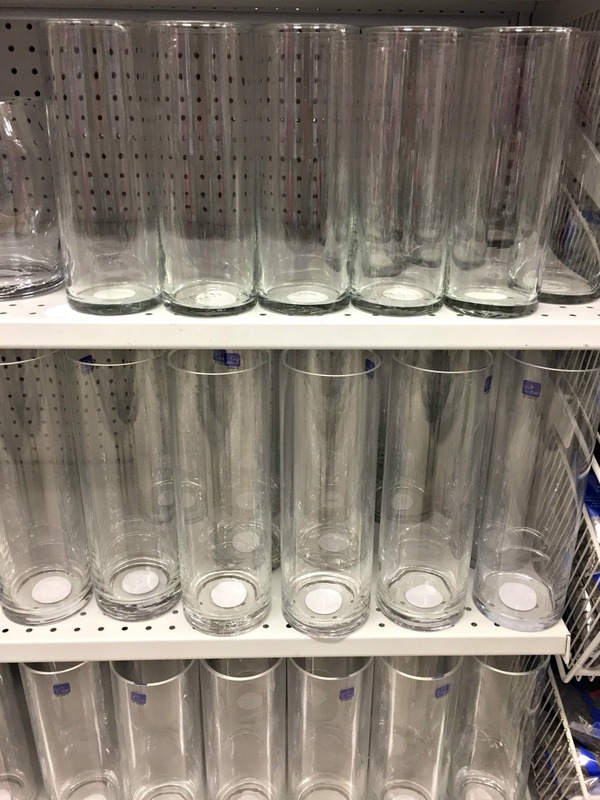 One day while browsing around my local dollar store, I remembered that I had two of these cylindrical vases in varying heights. I picked up a third one for $2.50 to complete the set of three. 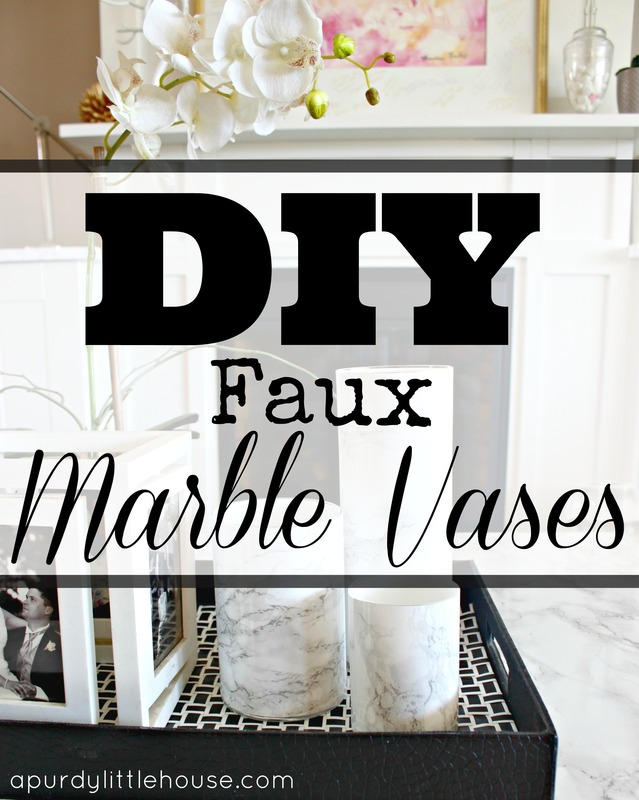 I love the look of marble, but real marble vases cost upwards of $60.00+ each! Yeah, no… Not happening. Here is what the vases looked like before I got started. I started by measuring the height of the vase, and cut the contact paper to size. There is a handy grid on the back to act as a guide for this step. Next, I carefully applied the paper while working out any air bubbles using my hands. Here they are all finished. Aren’t they so fun? I love how versatile these are, since they can be used as a flower vase or for a tea light. Now they fit right in with the new vibe of the living room. 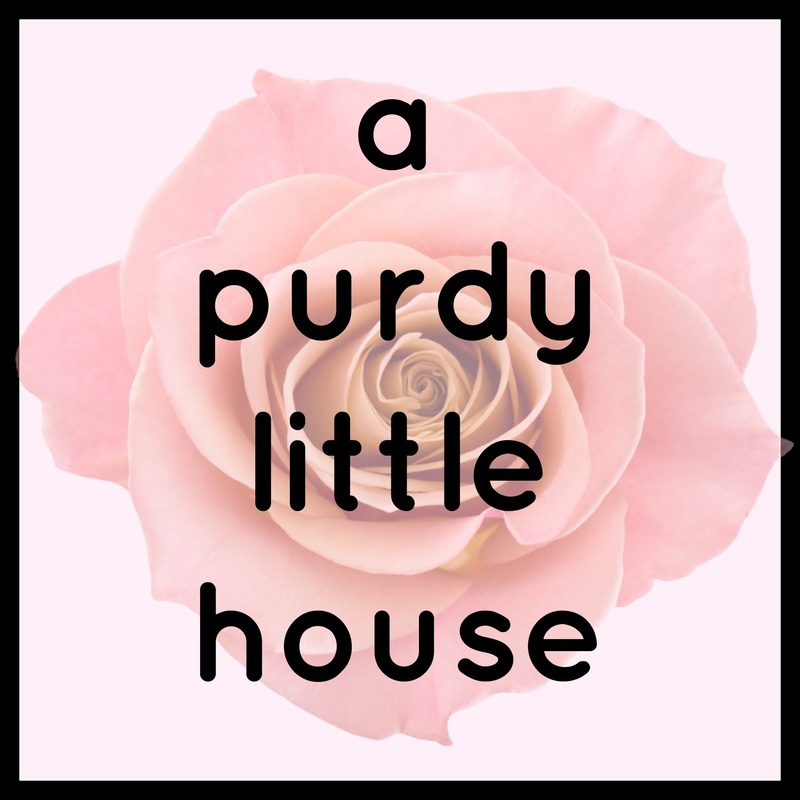 Now let’s check out the awesome projects my blogging friends came up with when they cleaned out their craft stashes. 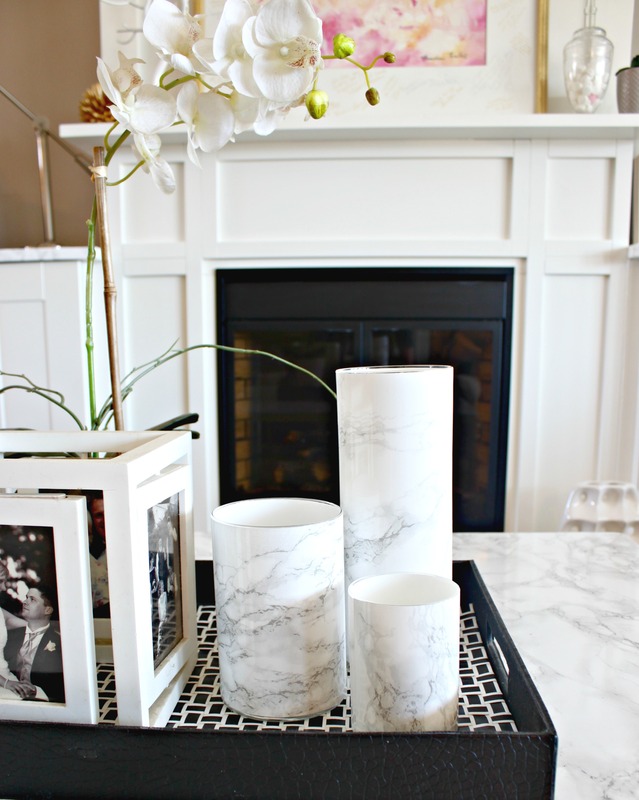 I love the look of marble, This is so elegant and simple to make. It looks fantastic. Who would have thought contact paper could make something look so elegant!! You have done such a wonderful job Sue!! So crazy! I actually have this idea on my to do list! 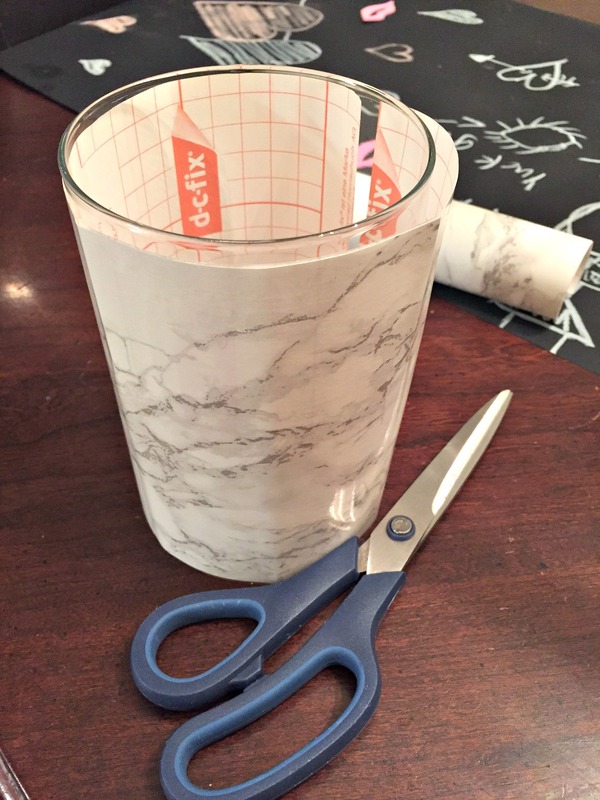 🙂 I’m getting ready to do a bunch of DIYs with Marble contact paper (love that stuff!) 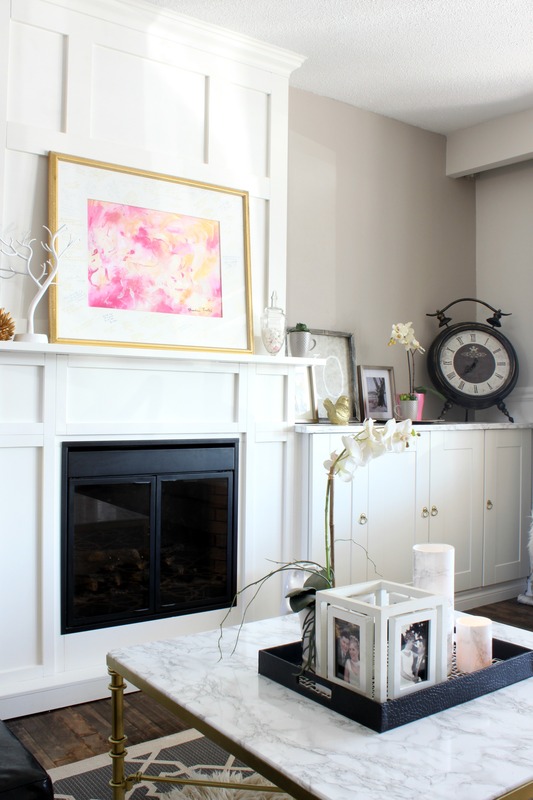 for my Marble & Gold themed home office that I’m doing a room reveal for in a couple weeks! Sue, these are so fun. I can’t believe that is contact paper! Wow, such a simple craft but the wow factor is high! Love it! So glad you are enjoying the challenge! Love the vases! Isn’t it amazing how well contact paper can tranform things? These turned out wonderful! I need to buy some of that contact paper!! They look so nice with your other decor pieces. OMG….so simple and elegant. What a great craft project! Thanks for the inspiration. Whaaat?! How simple is this? And they look AMAZING! I am so impressed, Sue! What a neat idea. Thanks so much Karla. That contact paper is so fun!! !